An Iowa State Patrol trooper used a Taser to arrest a man Sunday afternoon. 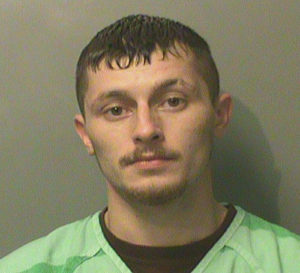 According to the Patrol, the trooper tried to pull over 25-year-old Jacob Ira of Des Moines for an equipment violation on his vehicle, but Ira refused to stop. The chase ended in a neighborhood on Des Moines’ northeast side when Ira left his car and tried to run from the trooper. Ira was caught, but allegedly fought with the trooper, who Tased Ira to subdue him. Ira is facing charges that include assault on a peace officer and interference with official acts. Ira was booked in the Polk County Jail. There was also a felony probation warrant out for his arrest.